BEECH GROVE AND BROOKVILLE—In addition to having three sets of brothers ordained priests in the past seven years, the Archdiocese of Indianapolis also has two priests who have sisters in religious life. Father Sean Danda, pastor of St. Michael Parish in Brookville and St. Peter Parish in Franklin County, is the brother of Society of Our Lady of the Trinity Sister Solanus Casey Danda, who teaches at St. Alphonsus School in Seattle. 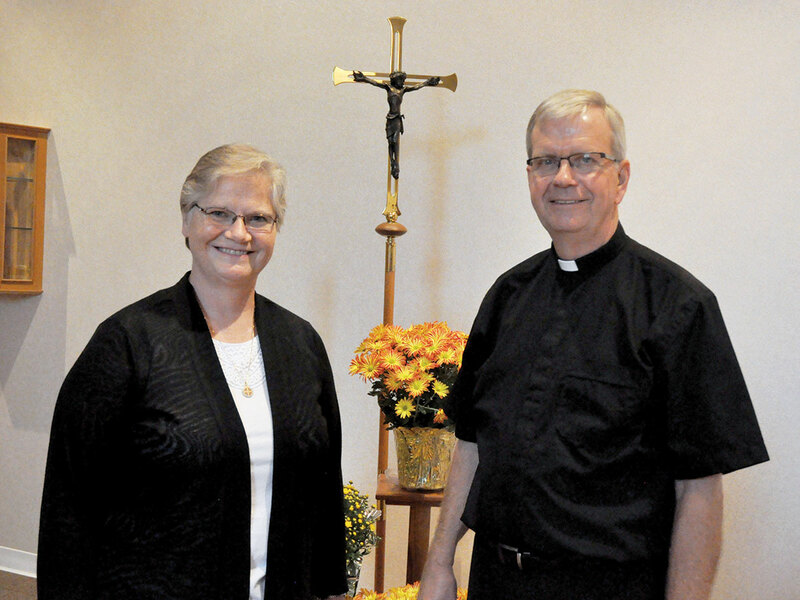 The siblings recently spoke with The Criterion about their common influences in their vocational discernment, and how they support each other in their lives of prayer and service to the Church. Sister Solanus, less than a year from professing perpetual vows, entered her religious community in 2008, seven years after her brother became a seminarian and two years before he was ordained. They were both open to priestly and religious vocations when they were students at Cardinal Ritter Jr./Sr. High School in Indianapolis in the late 1990s and early 2000s. Father Danda said he and his sister support each other through their prayers, regular phone calls and, in a world dominated by digital communications, by writing each other letters. He noted that the example of a brother and sister dedicated to serving God and the Church is a witness to the broader world that “God has to remain number one in our life. Msgr. Koetter, the sixth of nine children from a family from Floyds Knobs, was ordained a priest of the archdiocese in 1977 when he was 25. Sister Mary Ann, the eighth child in the family, entered Our Lady of Grace Monastery 27 years later in 2004. They also have two nephews who are priests, including Father Eric Johnson, pastor of Our Lady of Perpetual Help Parish in New Albany. As they were growing up, the Koetters also had the example of a cousin who was a priest and two other cousins who were religious sisters at the Benedictine Monastery Immaculate Conception in Ferdinand, Ind., in the Evansville Diocese. She also noted the example of her brother in his priestly life and ministry was an aid in her own discernment. For his part, Msgr. Koetter finds strength in the religious life of his sister. They also both find support in their other siblings’ vocations to married life. Together, they have several hundred combined years of marriage.